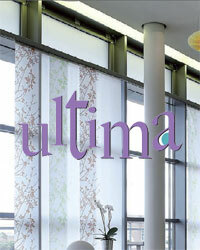 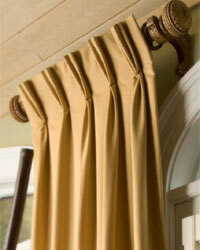 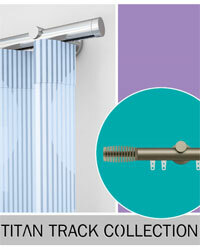 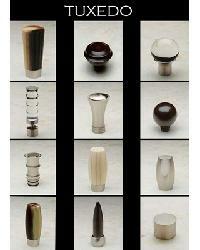 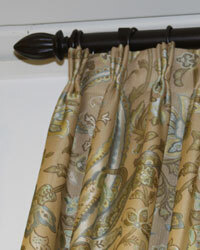 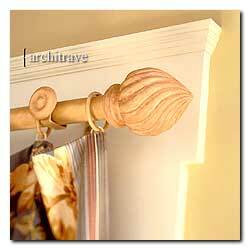 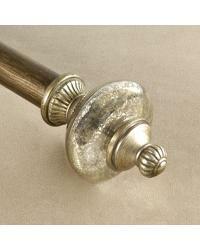 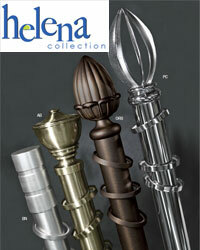 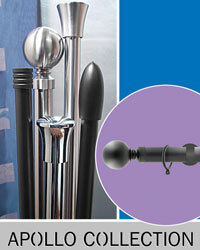 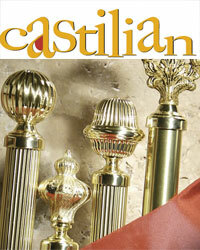 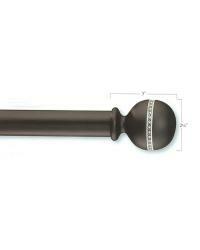 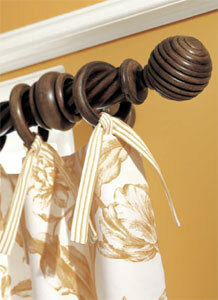 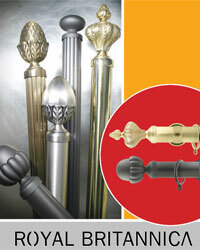 This medium sized curtain rod collection offers curtain rods over 1 inch in diameter. 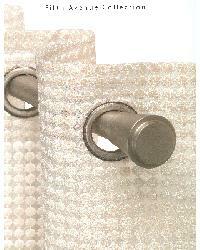 From 1 1/8" to 2 inch diameters and everywhere in between this size offering is the largest one for curtain and drapery use and for any of your other window covering treatment needs. 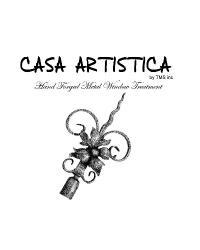 An assortment of corrosion resistant outdoor curtain rods, to a fun and whimsical kids offering to more sophisticated looks are offered in prices that range from affordable, for the budget minded decorator to higher end, for that designer look. 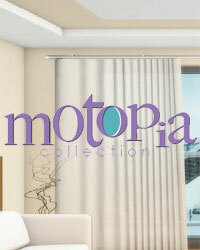 The styles and designs offered are suitable for those with modern, contemporary and traditional tastes. 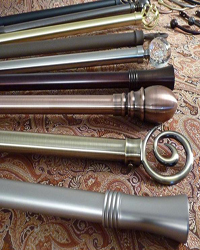 These curtain and drapery rods are available in an asssortment of materials that include wrought iron, steel, metal and wood. 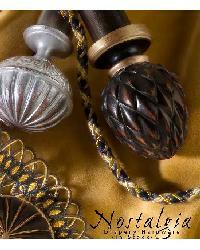 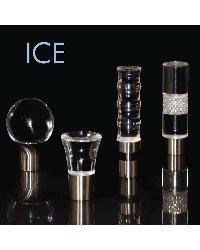 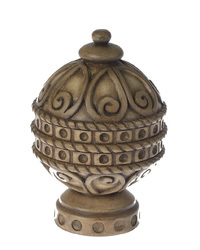 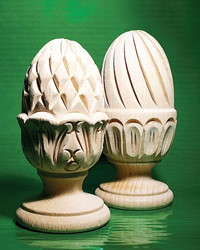 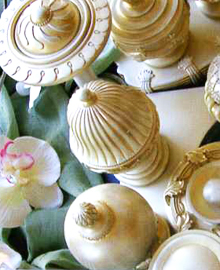 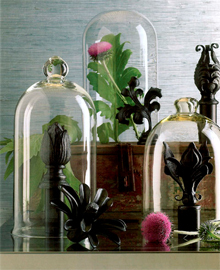 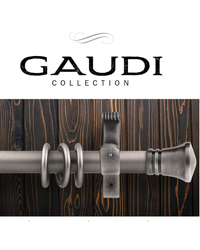 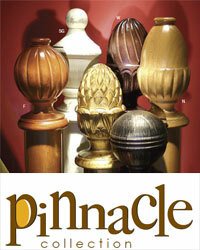 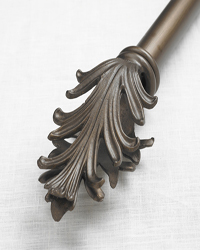 These decorative rods also offer matching hardware that includes finials of glass, plastic and crystal for sleek shiny looks to finials of metal, wrought iron, resin and wood. 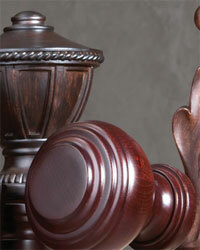 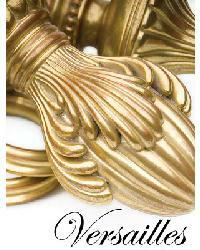 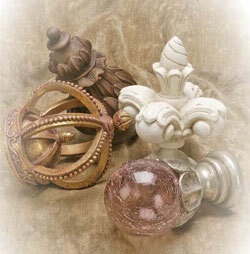 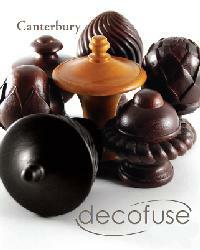 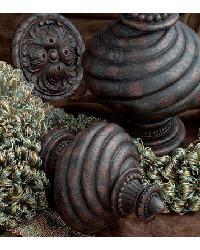 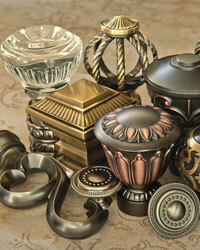 Also available are brackets and curtain rings in a multitude of styles and designs. 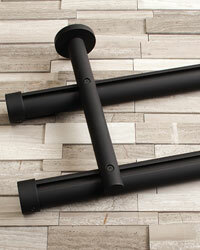 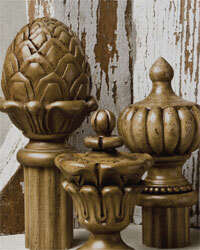 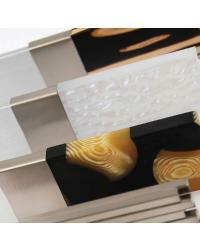 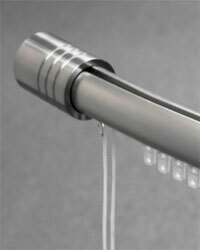 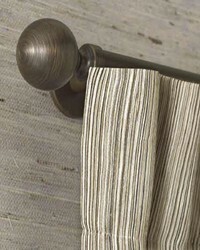 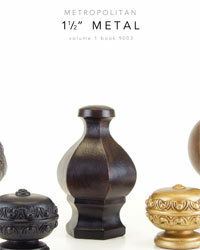 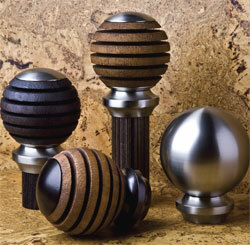 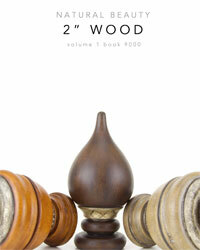 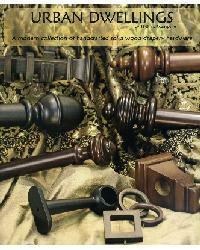 Contemporary wood curtain rods and hardware are what the Urban Dwellings by Menagerie is all about. 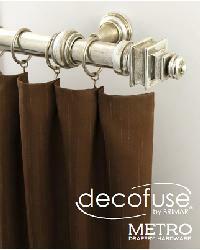 Made of kiln dried sustainable wood products then hand finished with lead free paints these artistic, uncomplicated and refreshingly urban minded designed wood curtain rods are the perfect choice for todays homeowner. 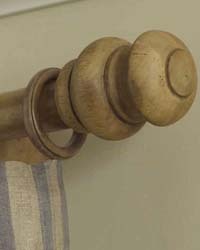 The wood curtain rods are 1 3/8" in diameter and offered in lengths of 4, 6 and 8 feet along with coordinating drapery hardware.